Business cards extend your business or services that you offer to your potential clients, associates, and other people and it allows them to contact you in the near future. 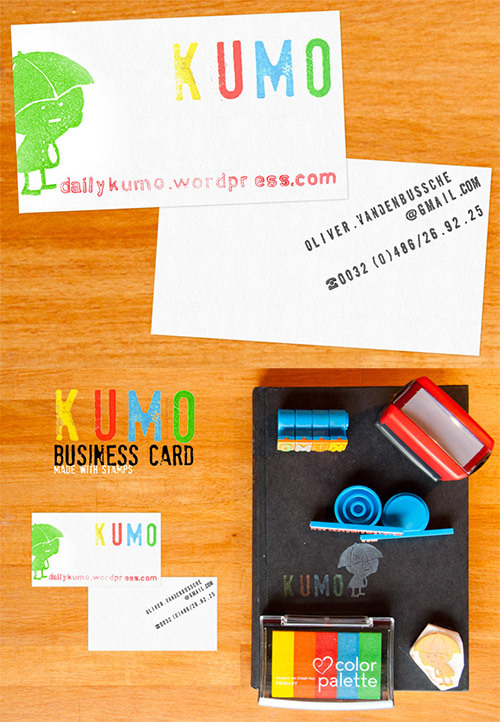 For these business cards to be effective, it has to be noticeable and nicely designed, this could also mean paying more for it. 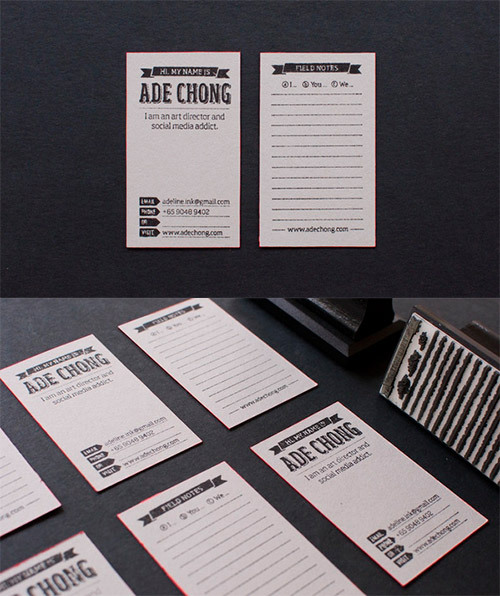 But not for these business card designs that you are going to see today. 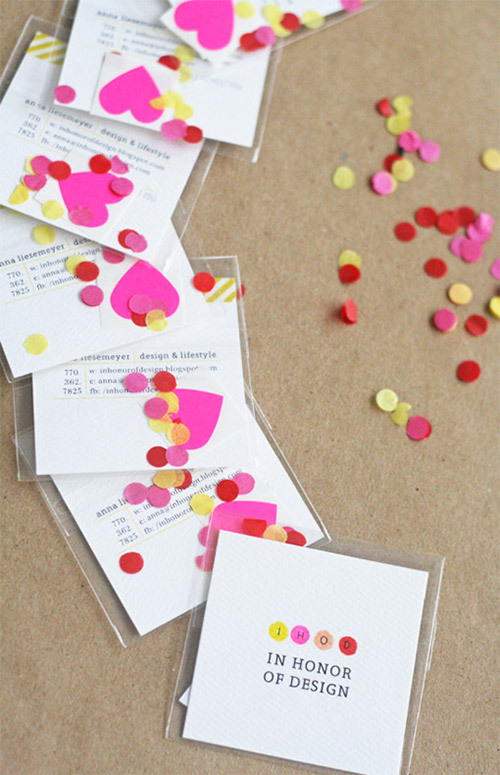 For this article, you’ll see some beautiful DIY business cards that are dipped with creativity without tearing your pockets off with the production costs. Scroll down and check the m all out below. 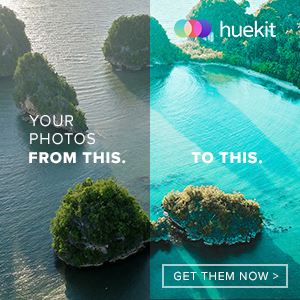 Come, take a peek, and be inspired! This is a cool example of how to make a DIY edge painting. 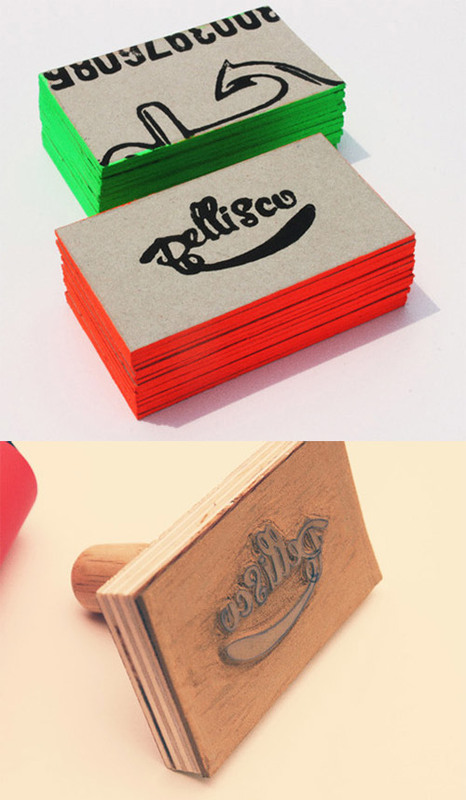 A nice business card made with just a stamp. 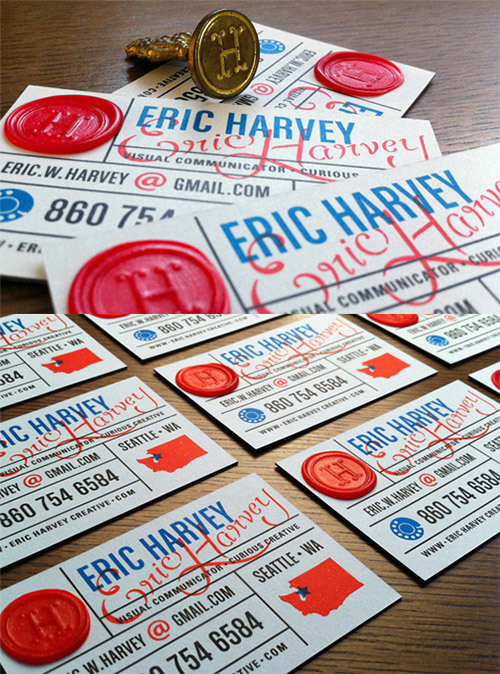 Each card is hand-stamped with custom rubber stamps on both the front and back with neon red edge painting. 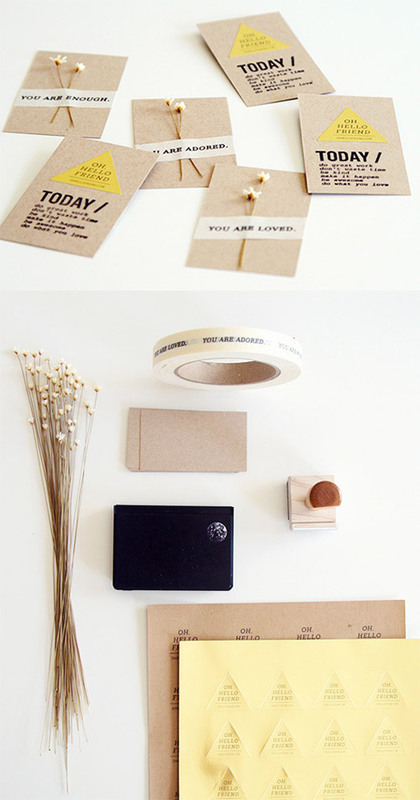 This personalized design used printed contacts and paste it to the card with the other information at the back. This is the beautiful result of a combination of stamp and neon colors. 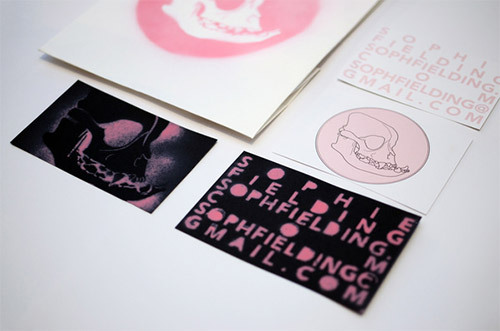 This artist used stencils of a pug skull and the contacts and sprayed with pink. 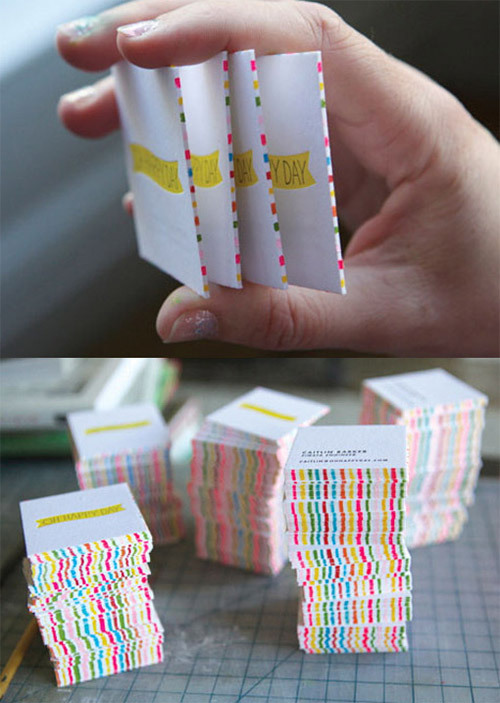 Here is creativity that develops a merchandising card that also doubles as a business card. 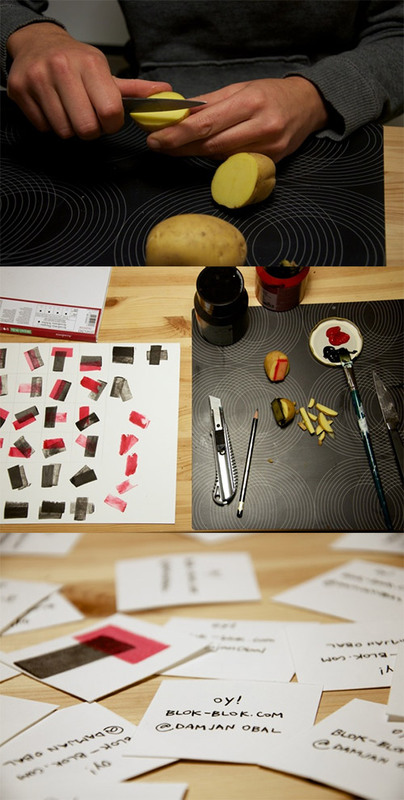 Now you know how to use a potato in a business card design. 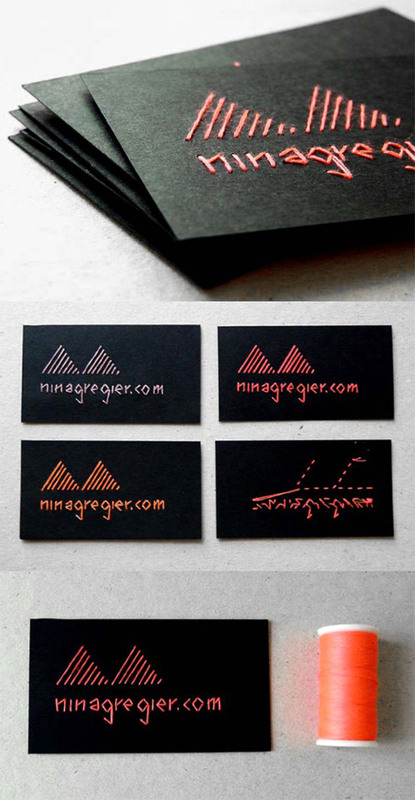 This business card was designed using a linocut printing technique. 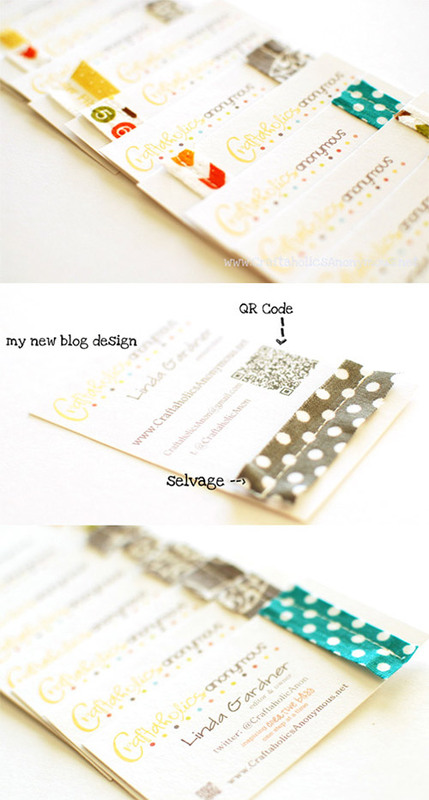 Here is another creative business card designed that looks like a nicely made scrapbook. 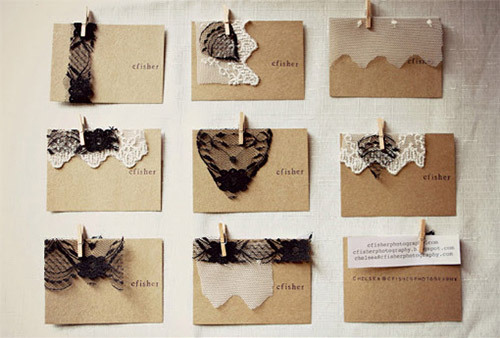 This design used a lace and some patterns to come up with cool and attractive backgrounds. An example of creative use of simple stamps and basic colors creating a cool design. The artist of this design used a wineglass as a stamp to create this simple yet elegant wine stain. 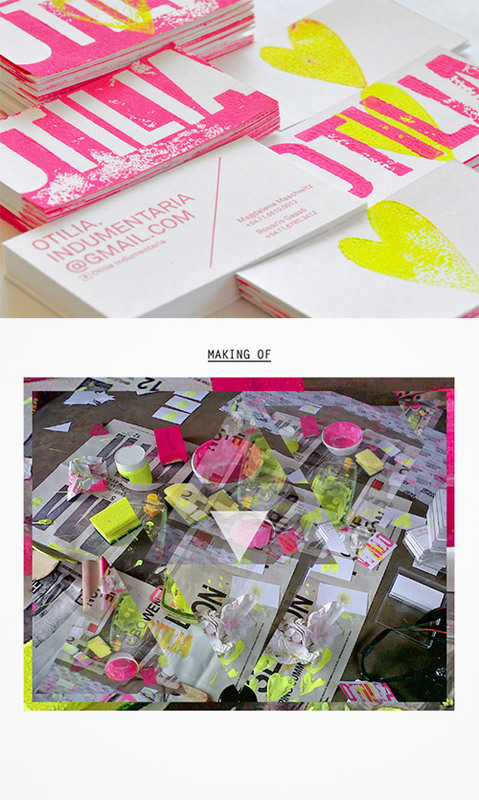 Creation of a business card based on 6 spray can colors. 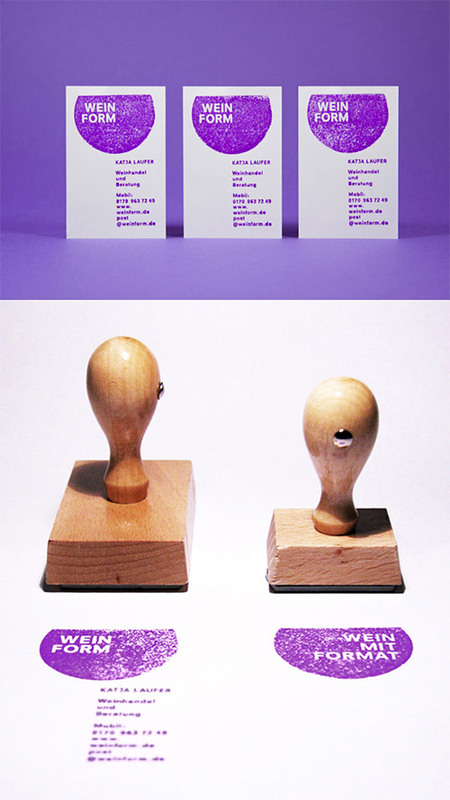 The designer created his own set of business cards entirely from scratch including the printing process with his handmade stamp. 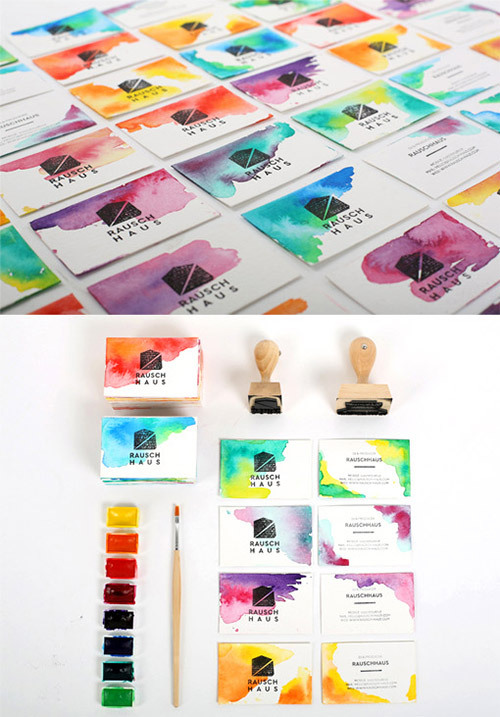 Each card has been splashed with two complementary colours of watercolour paint which blend into each other to create a unique pattern with the logo and details stamped. 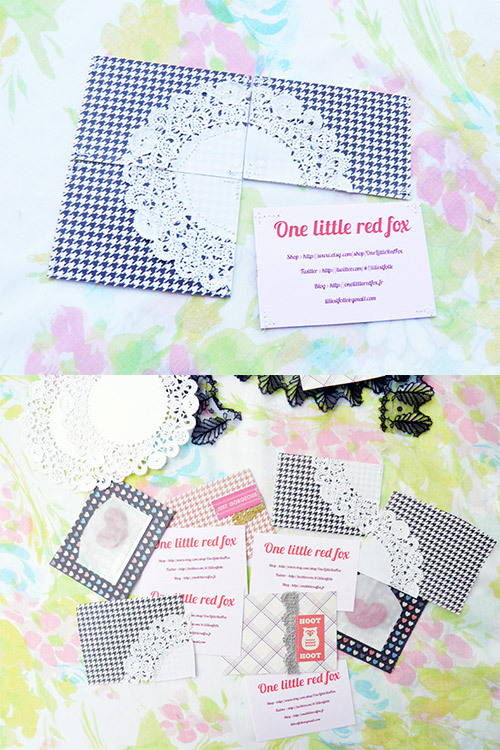 The creator of these cards took a simple and inexpensively printed card design and added her own touches to make the cards unique, personalised and interactive. These cards were stamped with the name on the front and her email on the back of the cards plus the clipped laces to add some creativity and personal touch. After stacking the cards, she painted brightly colored stripes on all of the edges and ultimately each card has a set of edge painted stripes which are very eye catching. 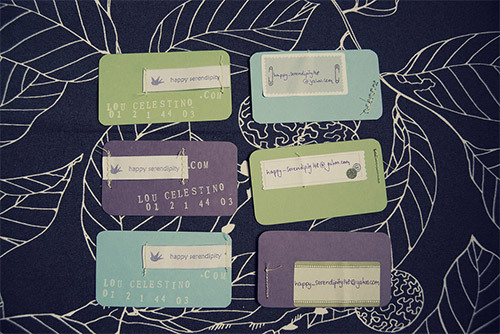 This artist used selvedges saved from past fabric projects and applied it to her own business card. Another example of a DIY edge painting using gold spray. Just a stamp and a variety of different recycled papers and cards was all that was needed to create this unique set of business cards. This design used miniature dried flowers found at a local florist, paper tape which has pre-printed whimsical quotes, business card blanks, a personalised stamp and labels. 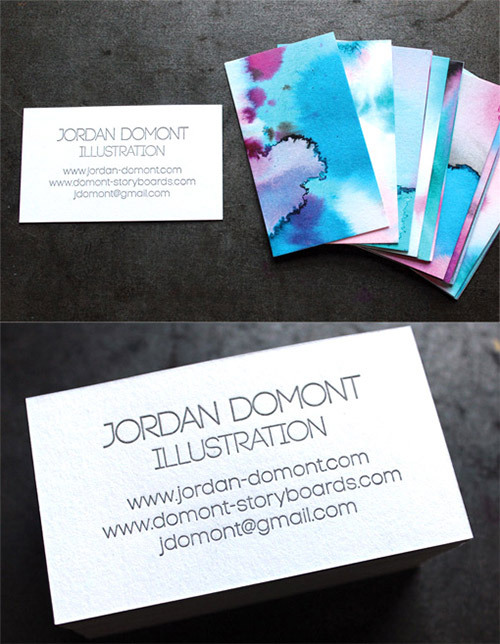 The designer used a simple but very effective and beautiful technique to make a set of unique business cards which show off his creativity and expertise as an illustrator. The owner has created some amazing typographical works which were all hand embroidered onto thick black card stock. The designer printed opaque white paint onto the right side of the fabric and loved the effect of the white over the denim colour. Then she sewed the two layers together to make the front and back of the card a whole piece. Using a custom made wax seal he applied his personal seal to each card which gave each an every one of them a tactile, 3D element and a classy and eye-catching pick-me-up to an otherwise standard print business card.